The internet has brought many benefits to most industries, with the most striking for businesses being online collaboration. Various collaborative tools make it possible for whole teams to almost seamlessly work on the same file, in real time. 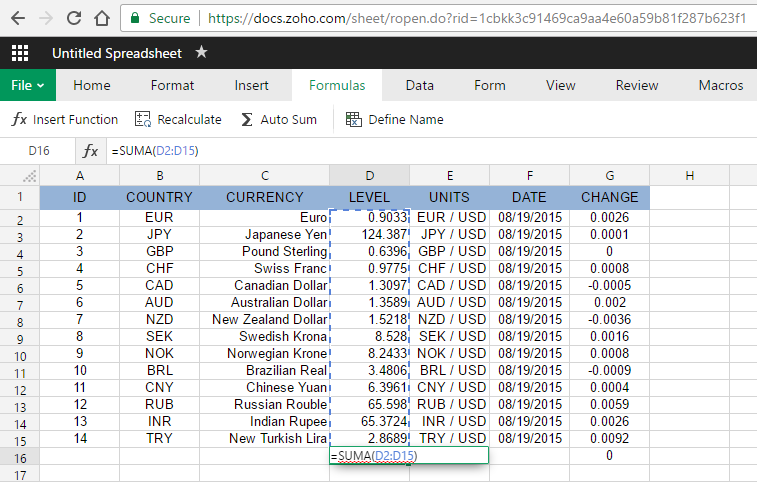 We have written about spreadsheets in the past, but always taking a broad outlook. 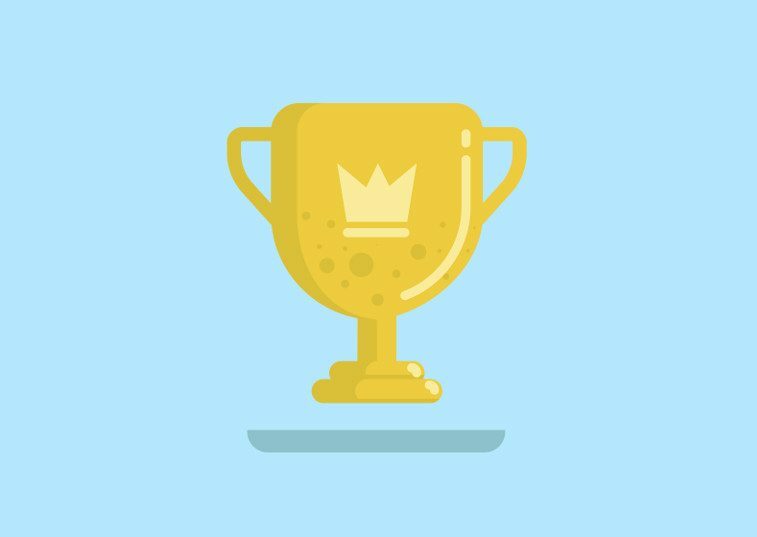 Today we narrow our focus by assessing the best online spreadsheet apps, which because of the many benefits they offer, have become very popular. Aside from collaboration being built in, modern spreadsheet apps are accessible from anywhere – and on almost any device – with the added benefit of presenting you with a consistent UI and set of features. Gone are the days of traveling to a remote office, only to discover they’re still using Office 2007, while you’re more familiar with Office 2016. However, not all changes are painless, and as online spreadsheets have grown in popularity, so have the demands for enhancements by end-users. And since development of any spreadsheet software requires significant resources, apps that were previously free are now either switching to a premium model, or shutting down completely. 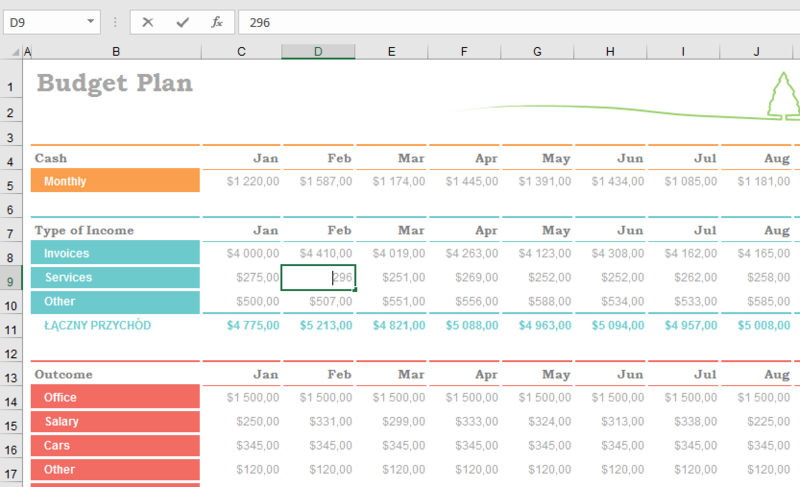 That said, there are still many great online spreadsheet apps for you to use and explore, and in this article we highlight some of our favourites. The Zoho Corporation launched Zoho Docs (or Zoho Office Suit) in 2005, so it benefits from both being around for more than just a few years, and being backed by a large parent company. A free version is available for teams of up to 25 people, but it offers less storage, and a few less features, than the paid version, which starts at $5 per user /month. Cloud Storage – all your files, including images and audio, are stored online, with 5GB to 1TB storage space per user. Easily integrate with other services such as Dropbox and GApps. Upload and store large files, from 1GB through to 25GB (depending on plan). Two-way sync allowing you to continue working even if offline. Full audit trail so you can see what edits were made, and by who. A fresh UI that isn’t confusing. Great support in the form of an active blog, updated FAQ, and a support forum. Connect to other Google products and projects with ease. Sharing, and tracking changes, is incredibly simple. Voice commands are now supported in addition to voice typing. Comprehensive Help section is built right into the app. Excellent support from the vast community. Access to hundreds of templates to get your project started faster. Some are designed by Google, but most are submitted by the community. Structure and broad FAQ section, to cover anything not already addressed by the Help section and the community. Following the trend to do everything online, Microsoft shifted from offering a standalone Office suite, to using an online subscription model. Unlike many other online office suites, Microsoft does not offer a free package, and the packages they do offer are differentiated by the software that is included, rather than features alone. $5 per user /month for the online only version of Office, through to $12.50 per user /month for desktop, tablet and mobile phone versions of Office. Almost identical structure and UI used in the online, desktop, tablet, and phone versions. A stable product with a very long history. A large number of tutorials covering all functions can be found on the Microsoft site, and all across the internet. Huge support community that is always willing to help. In-app help is fast and supports multiple languages. You have access to a small library of tutorials covering basic to advanced topics. Free access to templates and themes for almost any type of project. Founded by the co-creator of Google Maps in 2012, Quip has grown rapidly in a very short time. Salesforce acquired Quip in 2016, providing the app with a solid support structure. Quip has always been about collaboration between web and mobile devices. From $30 /month for a team of five users. Chat and commenting are built right into each document, making live collaboration easier. Full edit history so you always know what was changed, and by whom. Permissions can be set at group and folder level, with full encryption throughout. Industry specific case-studies showing how the app can be used in different scenarios. Clever guide that also acts as a mini-onboarder, while answering some questions you may have. If you still have questions after that, then head over to the FAQ. Finally, the Quip team isn’t shy about sharing their plans for 2017, so you know upfront what new features you can expect. 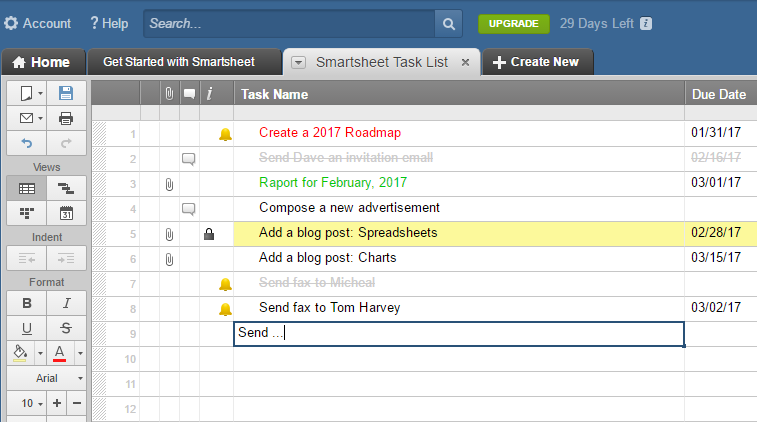 SmartSheet differs somewhat from the other tools we have looked at so far. Although in theory they offer an online spreadsheet app, with collaborative features, the actual app is customised according to specific business functions in an organisation. From $14 per user /month. Most features are in all plans, with only a few features limited to larger plans. Collaboration can take place on the whole spreadsheet, or restricted to a specific row. Mobile app version of SmartSheet for both iOS and Android. Used by top multinational companies. Comes with integration to leading industry tools built-in; these include SalesForce, Marketo, Git, and Zapier. Comprehensive support, including a very active community, and video library. 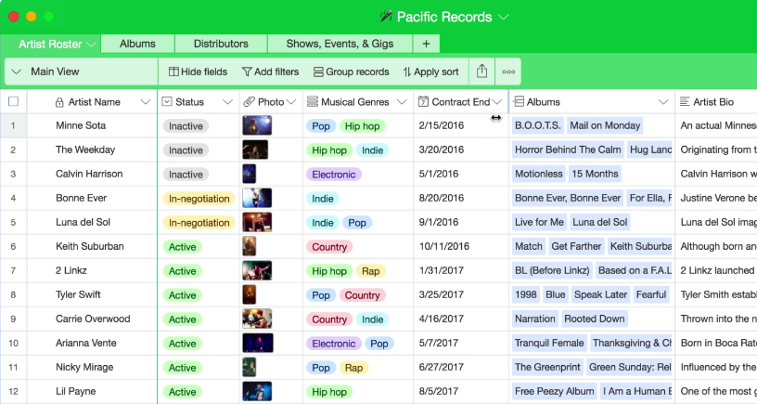 Like Quip, Airtable has been around since 2012. But age doesn’t matter much when you have a passionate team driving a product that is used by many large companies, and has attracted investment from top VCs. 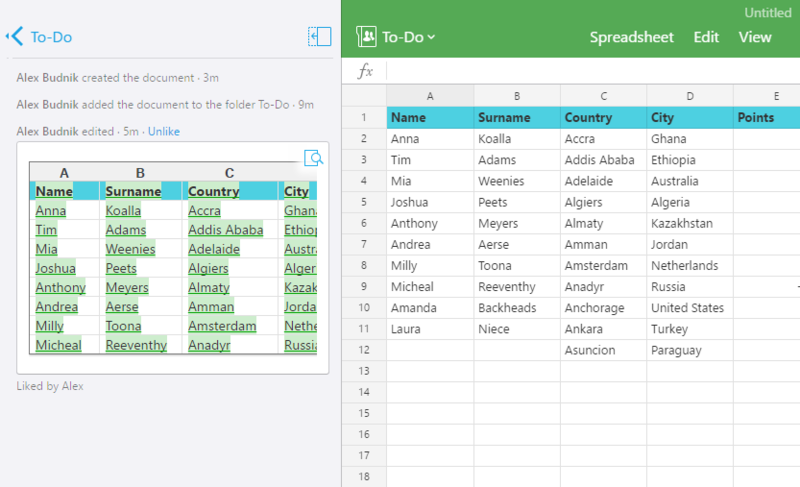 Because Airtable accepts multiple forms of data, and has customisable views, the developers tout it as spreadsheet meets database. From free, with limited features, through to $24 per user /month, with an Enterprise option also available. 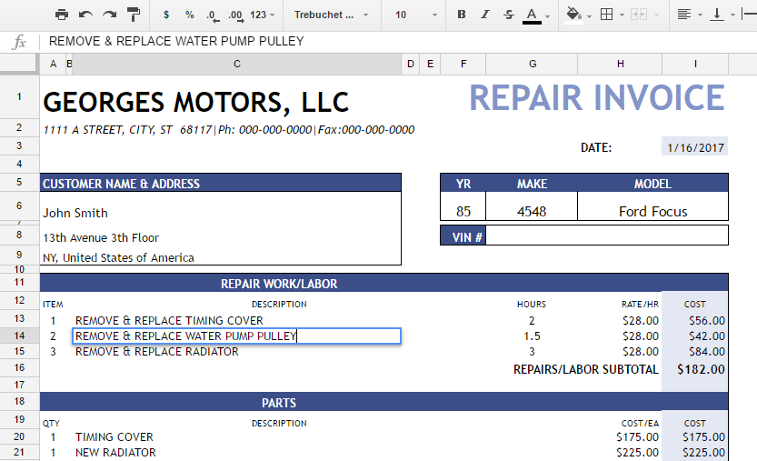 Add attachments directly to your worksheet, including images, barcodes, and videos. Supports multiple views, from Grid, through to Gallery. Easy to link related content across tables. Large template library , with templates categorised according to industry. Built-in support for configuring Airtable to work with your favourite apps, with another 450 integrations possible via Zapier. Great support from in-house team , and active community. With the support of Alphabet, Google is able to offer a great spreadsheet app free of charge – it works well, makes collaboration easy, and is accessible from anywhere. But there will always be a market for alternatives such as those listed in this article. They differentiate themselves by targeting specific industries, or by coming close to reinventing what traditional spreadsheets can do. But as they have all learned early on, innovation isn’t cheap, and without the resources of Alphabet backing you up, charging for your product is the only sustainable business method.